"*Pershahn El Jamaal has already claimed his place as one of Ali Jamaal's best sons! 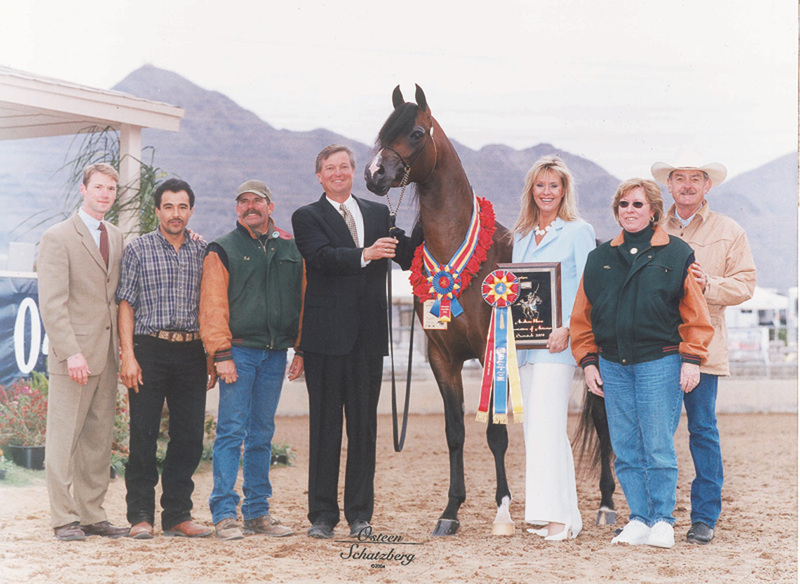 His star rose to the top with his show ring debut in Scottsdale where he not only took the 3- year-old-colt class by a unanimous vote from the judges, but he also was named the Champion stallion a few days later with all three judges placing him on top. 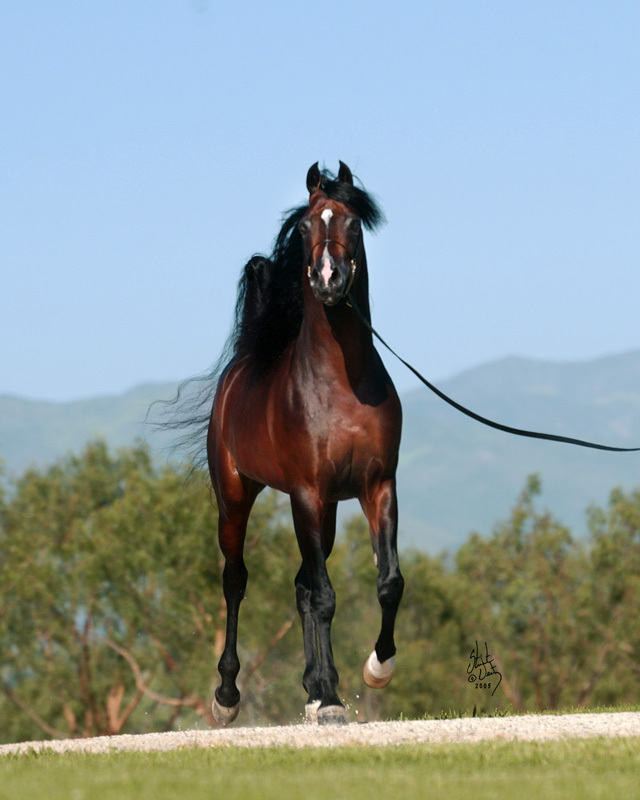 He was named U.S. and Canadian Reserve National Champion stallion that same year. 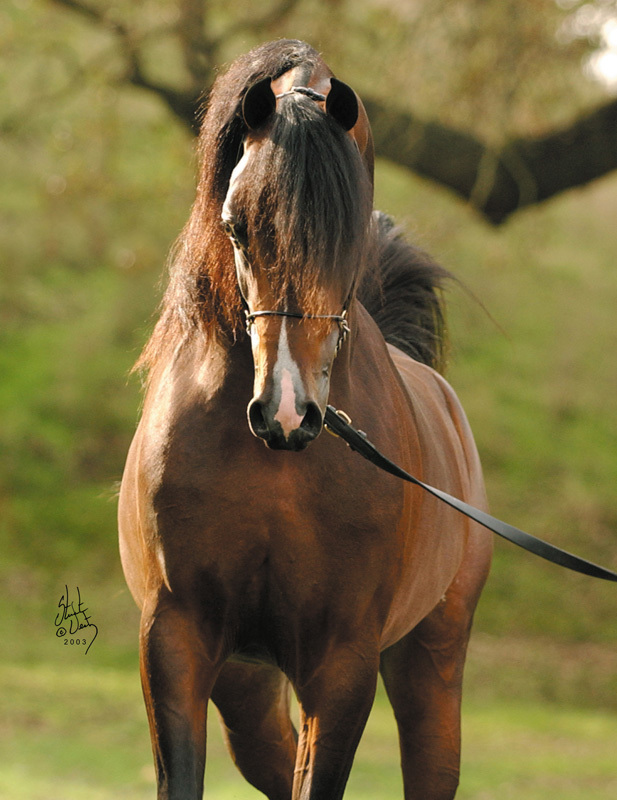 Now, his outstanding sons and daughters are spreading his ability as a great sire.While breeding only ten outside mares per year, his offspring shown to date have been at least top five at the Regional level. At this years U.S. Nationals, his yearlings Oceania o and EVG Gentry earned Top Ten awards in their respective sweepstakes classes. 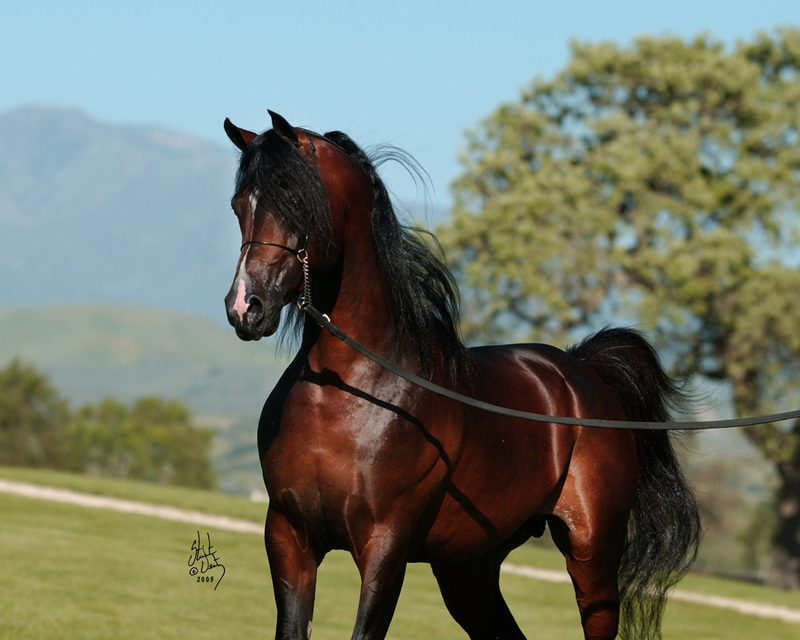 The consistent ability to produce size, coupled with the ultra rich *Ali Jamaal look has placed *Pershahn as a top sire in the show ring." 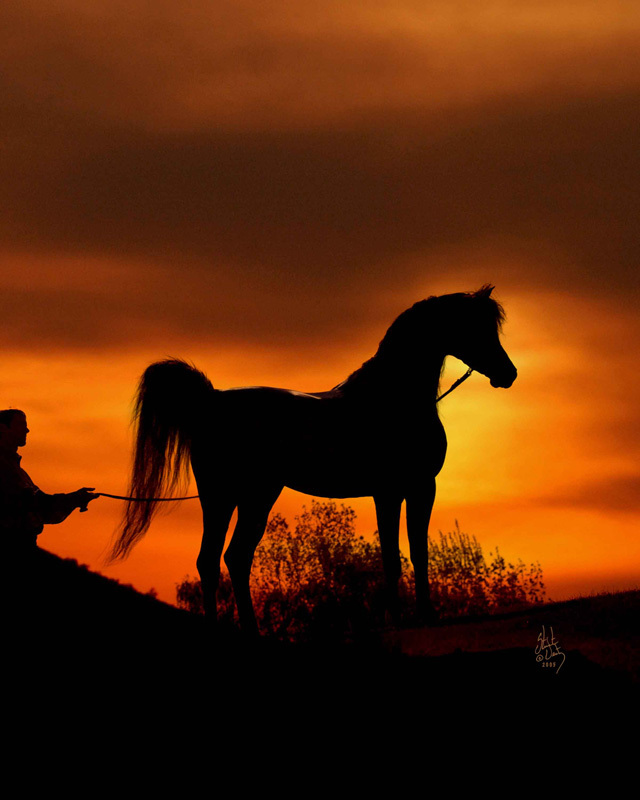 "*Pershahn El Jamaal has proven in a few breeding seasons what most stallions never do. 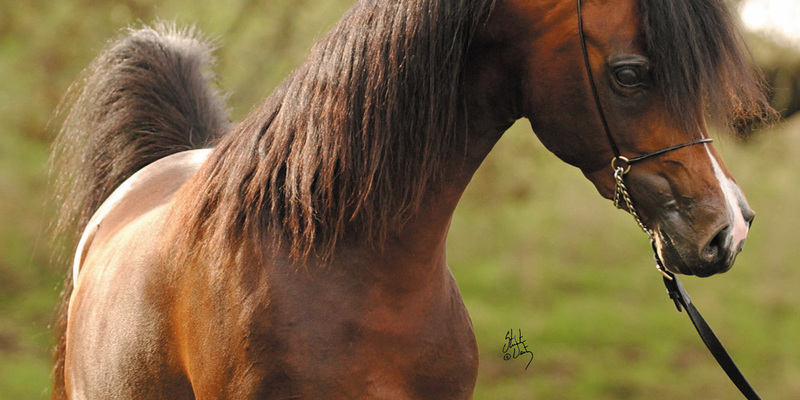 His ability to consistently improve on, and even add to, the mares to whom he has been breed is incredibly thrilling. 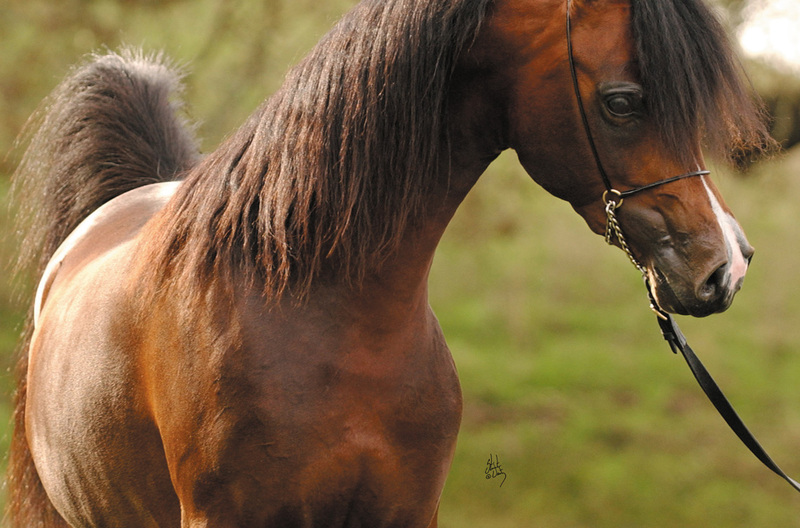 Pershahn was impeccably breed at Lenita Perroy's Haras Meia Lua and it shows in both his magical quality, and that of his get. 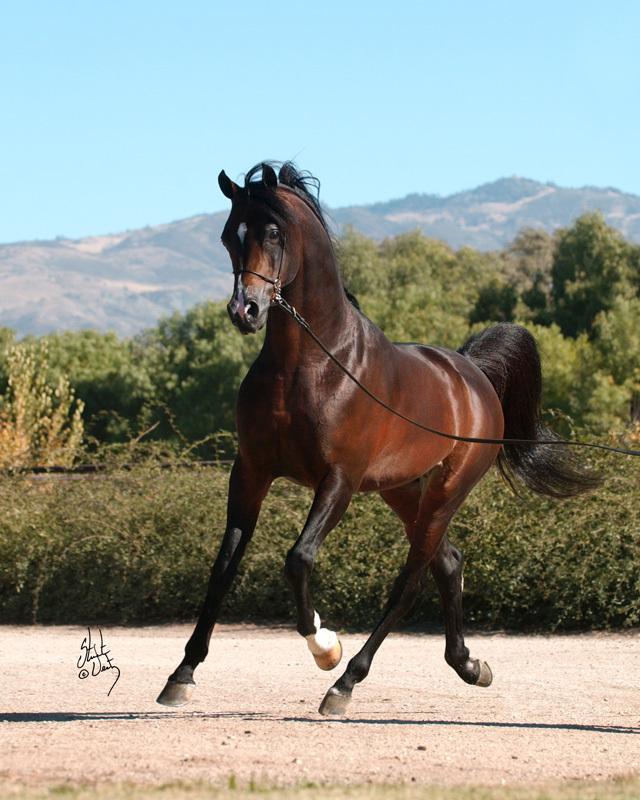 We are excited to have been among the first to breed to him and will always consider his daughter 'Oceania o' (out of twice US Reserve National Champion Mare OmEl Jimala) to be one of the true gems of oOne's fledgling program. So excited in fact, that we anxiously await our second Pershahn foal in February 2007, this being out of the ethereal Polish mare *Elandra PASB. We plan to continue our association with Pershahn, and to add more of his magic to oOne in the future."